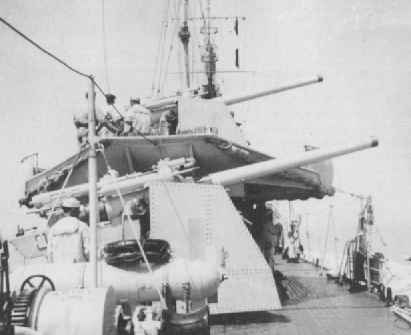 100 mm/47 OTO 1937 guns on Torpedo Boat Ariel. Photograph copyrighted by Elio Andò. 100 mm/47 Model 1937 formerly on the Corvette Ibis. In the background is a twin 100 mm/47. Image courtesy of Museo Tecnico Navale della Spezia. A slightly improved version of the 100 mm/47 Model 1928 and used in single mountings on smaller warships. Manufactured by OTO. Well-liked, but used in mountings with low maximum elevations which meant that they were not really suitable for the anti-aircraft role. ^The Gabbiano class used an electric hoist that could supply 7 rounds per minute from the magazines to the gun. ^The muzzle velocity was originally 2,953 fps (900 mps) but this was reduced in an effort to reduce dispersion. ^The OTO 1931 mounting was replaced where possible during World War II with the OTO 1935 and OTO 1937 mountings in order to increase AA capability. 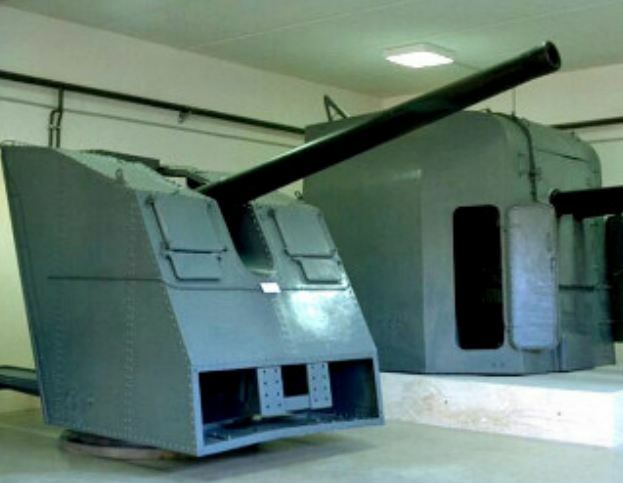 ^2.12.22.3The OTO 1931 gun was used in the OTO 1931, OTO 1935 and RM 1937 mountings. ^The RM 1937 mounting was little used. ^The OTO 1937 gun was used in the OTO 1937 mounting. "The Gabbiano Class Corvettes: Part 1" by Elio Andò in "Warship Volume IX"